Acid Washing - Superior Pool Spa & Leisure Ltd. Acid washing strips away the outside layer of your pool while cleaning and disinfecting it at the same time. If your pool is looking murky and grubby, acid washing will restore it back to its original glory. Over time, some pools will develop stains or discolouration on their surfaces. For instance, magnesium or copper stains can turn paint, grout and marbelite finish from white to blue, red or brown. Sometimes these stains can’t be removed with scrubbing alone. Acid washing your pool’s surface will get rid of most stains, as well as any inorganic and organic particles clinging on the surface. Pools with hard water or algae growth will especially see the benefit from acid washing. 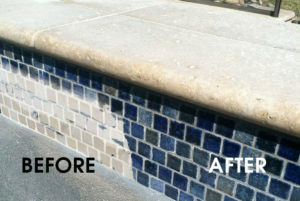 Acid washing can also be used to remove gritty white calcium deposits on pool tile. 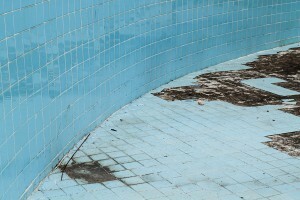 But, it’s important to understand that acid washing is not right for every swimming pool! Depending on your pool’s age or finish, acid washing may remove a very thin layer of surface. Pools that have thin, old paint or fibreglass should not be acid washed often, but rather repainted or re-gelled. At Superior, our expert and highly-trained maintenance team can advise whether acid washing is right for YOUR pool. Contact Superior Now To Book Your Next Acid Wash!